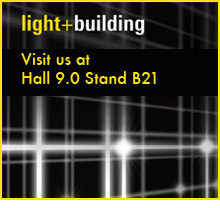 April 2012 – The expanded BASautomation product line will be on display at Light+Building in Frankfurt, Germany April 15-20 in Hall 9.0, Stand B21. Light+Building is one of the largest shows in Europe for the building-services industry, with more than 183,000 visitors expected. "The show is held every two years and because of the large attendance, Hall 9.0 has become a focal point for advances in building automation technology in Europe," said Paul French, EMEA Sales Manager of Contemporary Controls. "We're looking forward to showcasing our new BASautomation products because several of them are the result of feedback we've received from customers about the challenges they face in the field." BASautomation products support Contemporary Controls' strategy to "Build on BACnet" by providing products that maximize the benefits of both BACnet and Ethernet. "We love BACnet, but there are many non-BACnet compliant devices that need to connect to BACnet/IP," said Paul French. "For example, Modbus devices remain popular in boiler control, variable speed drives, and energy metering applications, but these devices lack BACnet compliance. Our new BASgateway provides a solution." The BASgateway connects BACnet/IP Ethernet to non-BACnet compliant networks such as Modbus Serial or Modbus TCP. Using the concept of virtual routing, up to 30 Modbus devices appear as individual BACnet devices. Using web pages and a resident database of common Modbus device profiles, Modbus registers can be mapped to BACnet objects. Contemporary Controls provides a library of Modbus device profiles on the BASgateway. Additional custom profiles can be uploaded. In addition to the BASgateway, the BASview will also be on display. The BASview is a stand-alone, embedded, web-based graphical interface for building automation and process automation systems. BACnet/IP compliant, client features include animated graphic screens, scheduling, historical trending, runtime accumulation and alarm monitoring. The BASview is ideal for small to medium buildings or processes that require a simple-to-use graphical interface with no licensing requirements. To make the Ethernet Connection, we will be displaying our CTRLink portfolio which includes managed and unmanaged switches, media converters, wired and wireless IP routers. The CTRLink family of Ethernet infrastructure products addresses the needs of the automation professional. We look forward to seeing you in Hall 9.0, Stand B21.